Beautiful single family home Browning model in the desirable Faircrest community. 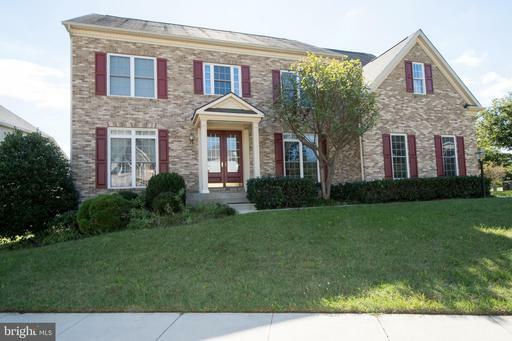 Located near I-66, Route 50, and 28, this home has everything youll need to make a house a home. 4 beds, 4.5 baths and a 2 car garage. This classic center hall colonial offers a welcoming dining and living room on either side of the main foyer. Custom silk window treatments convey. Come into a recently painted large family room with an electronic fireplace. From there, youll find a home office tucked away in the corner and a large eat-in kitchen with newer stainless appliances, solid surface counters and large island. The custom rear staircase with lower risers makes getting upstairs easier. Upstairs youll find 4 bright and spacious bedrooms with 3 bathrooms. The owners suite has a sitting room and an expansive bathroom that contains a stand-in shower and built-in jacuzzi. The laundry room is conveniently located upstairs as well and features a newer washer and dryer. Down to the lower level youll find a finished recreation room, den and full bath that is perfect for entertaining and/or hosting long-term guests. The corner lot is served by a deck in the rear and room to roam out front. TAKING BACK UP OFFERS! MODEL CONDITION! 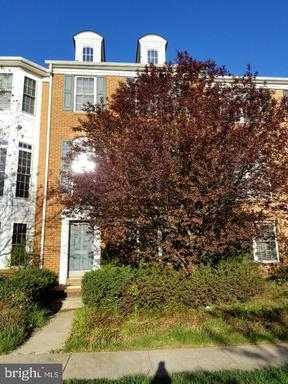 GORGEOUS BRICK FRONT TOWN HOME W/ THREE LEVEL BAY WINDOWS IN SOUGHT AFTER FAIRCREST. 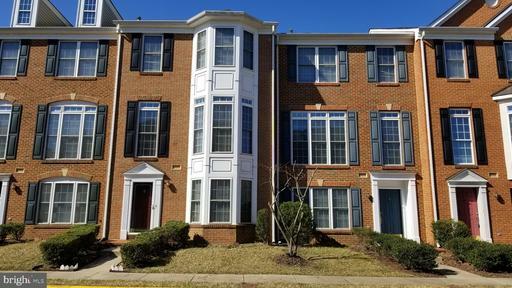 HARDWOOD FLOORING ON ENTIRE THREE LEVELS AND NEW ON 1 3 LEVEL, FRESH PAINT, EXTENSIVE CROWN CHAIR RAIL MOLDINGS IN LIVING ROOM. GOURMET EAT-IN KITCHEN W/GRANITE COUNTERS, NEW STAINLESS REFRIGERATOR, COOKTOP, DOUBLE WALL OVEN, LARGE ISLAND, GAS FIREPLACE, WALK-IN PANTRY DECK. UPPER LEVEL LAUNDRY. OWNERS SUITE W/TRAY CEILING, PRIVATE SOAKING TUB, SEPARATE SHOWER HUGE WALK-IN CLOSET. LOW HOA FEE TONS OF COMMUNITY AMENITIES - POOL, TENNIS, PLAYGROUNDS, CLUBHOUSE. CLOSE TO BUS SERVICE TO VIENNA METRO. MUST SEE! 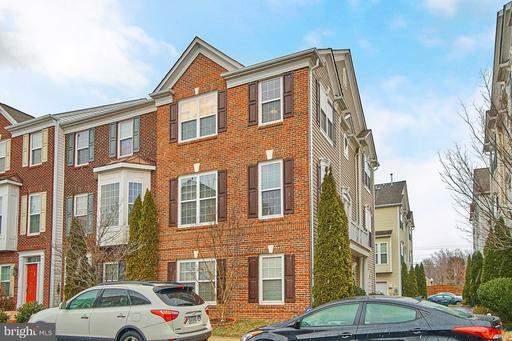 Gorgeous 3-bedroom, 3.5 bath ~The Bennington~ model townhome with garage in premium Faircrest location backing to pond and loaded with upgrades! 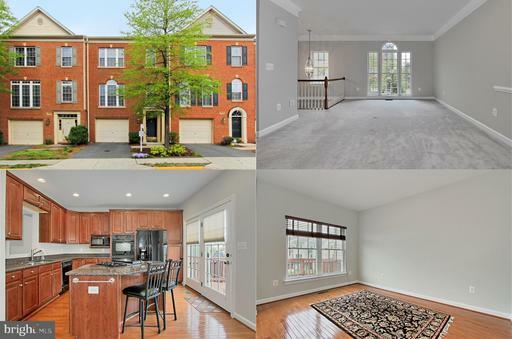 A tailored brick front exterior, bright open floor plan, fresh designer paint and crisp moldings, hardwood flooring, soaring ceilings, an abundance of windows and gourmet kitchen are just a few features making this home so special. An open 2 story foyer welcomes you and ushers you up to the spacious living room with Palladian window, plush carpeting, and crown molding. The adjoining dining room is accented with chair railing and recessed lighting. The beautiful gourmet kitchen is sure to please with gleaming granite countertops, raised paneled cabinetry and quality appliances including gas cooktop with downdraft, double wall ovens and side by side refrigerator. A large center island with breakfast bar seating opens to the family room and French doors lead to the expansive deck overlooking a lovely pond view, perfect for summer evenings and entertaining. The wonderful master bedroom suite has a soaring cathedral ceiling, skylights, ceiling fan and huge walk in closet. Pamper yourself in the en suite bath with dual sink vanity, jetted tub and glass enclosed shower. 2 additional bright and cheerful bedrooms with vaulted ceilings share the well-appointed hall bath. A bedroom level laundry adds convenience. The walkout lower level recreation room with cozy gas fireplace provides plenty of space for media, games and relaxation. Here a glass paned door grants access to large yard encircled by wood privacy fencing with a private gate to the common area beyond. Back inside is a convenient 3rd full bath. 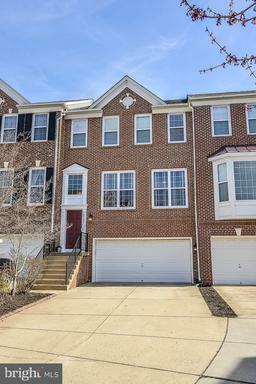 All this in a lovely community and excellent location, minutes to shopping, dining and easy access to I66, Rt. 28 and 29!